Los Angeles, CA — Black Château partners with the Greater Los Angeles Writers Society (GLAWS) to present an array of authors for in-booth book signings at this year’s World Science Fiction Convention (Worldcon). Authors will sign books on Saturday, August 18 for two hours each. They will also meet and greet fans and new readers. Worldcon is the annual international gathering of science fiction and fantasy fans, writers, artists, musicians and other creators. This convention is officially dubbed Worldcon 76. Every year it is held in a different city around the world, making Worldcon 76 special for US and California residents, as it occurs in San Jose, California August 16 – 20th at the San Jose McEnery Convention Center. The convention focuses on science fiction and fantasy literature, as well as genre television, movies, animation, games and more. Worldcon is known as the world’s fair of science fiction and fantasy fandom. Worldcon 76 has “Make the Future” as this year’s theme. According to the Worldcon website, the theme is a reference to the booming worldwide maker culture which has strong roots in the San Francisco Bay Area. As well, it is a celebration of their belief that the choices we make as a society steer the fan community, and humanity in general, toward the brighter future we aspire to build. The Black Château authors appearing at Worldcon have books that coincide with this theme. Additionally, the Black Château motto, we believe in storytellers, is complimentary to Worldcon’s message. “Worldcon 76 is an amazing venue for Black Château and our authors. We’re fortunate to have it so close to home this year. Plus, we’re honored to partner with our friends at GLAWS for this unique opportunity and thank them for collaborating with our authors for the book signings,” Desireé Duffy, founder of Black Château, says. Visit the GLAWS booth at WorldCon 76 to meet the Black Château authors participating in the signings. Updates, photos, videos, and news can also be followed through Black Château’s social media. Follow on Facebook, Instagram and Twitter. Click here for information about Black Château. 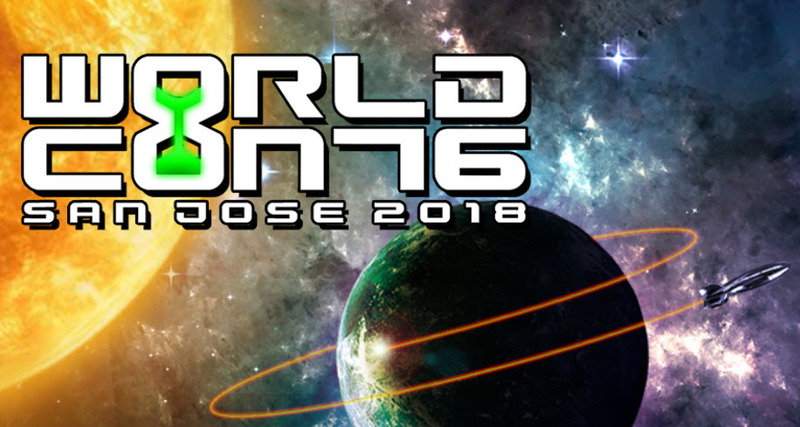 Worldcon 76 information can be found on their official website. To learn more about GLAWS, visit the website here. Black Château believes in storytellers. The company is dedicated to helping authors’ voices be heard around the world through the written word. Located in Southern California, the award-winning Black Château is a marketing and public relations agency specializing in promoting authors, books, small press, personality brands, and creative individuals. The company developed the proprietary Author Network, an affordable marketing and PR strategy for writers and additionally offers a full-service array of marketing and public relations services to a wide array of clients and brands. For more, visit www.BlackChateauEnterprises.com.